Our guides are exceptionally qualified, offering you more than 50 years combined experience. Call us - we will customize a package to suit your needs. Sample packages are listed on our Pricing page. 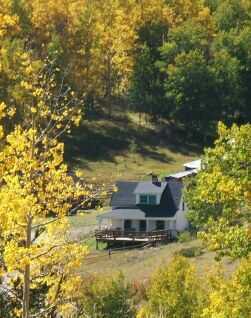 The Mountain Meadows Ranch . 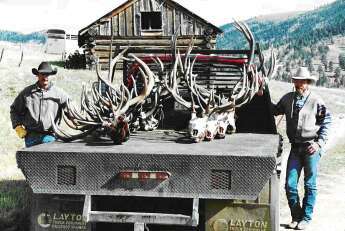 . .
Guaranteed licenses are held by this ranch, as it comes under the Ranching for Wildlife program through the Colorado Division of Wildlife. Rifle hunting runs from early September through November, which means you have the option to hunt with a rifle through the rut. 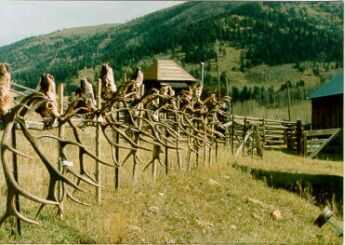 The breeding ground and birthplace for more than 600 head of some of Colorado's finest elk, this ranch includes 13,000 acres of lush grassy meadow, rolling hills and mountains covered with spruce, pine and aspen. Its elevation ranges from 9,000 to 11,000 feet. 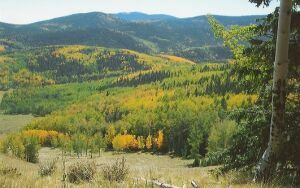 Bordering the San Isabel National Forest allows for additional hunting access. The ranch house camp features five bedrooms (16 beds) and three bathrooms. From its kitchen wafts the aroma of the best home-cooked meals west of Hwy. 165. Most of our hunters travel to their hunting areas and meadows in 4x4 vehicles to watch and listen for the bull of the woods to venture out. Some hunters, however, prefer to experience a more western adventure, staying in tent camps and going out on horseback. Catch the thrill of the spot-and-stalk hunt, or sit in blinds within a stone's throw of deer and elk, where you can comfortably watch the traveling bulls in action, stealing cows and keeping their herds together. The Rose Ranch . . . It is not uncommon here to see more bulls than cows and more bucks than does. The Rose Ranch consists of 13,000 acres of cedar, pinon, ponderosa and spruce at its higher elevations, with expansive meadows and deep canyons at its lower elevations, as well as bordering the San Isabel National Forest. The terrain is best hunted as spot and stalk, but other options are available. 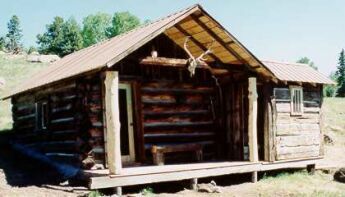 Your camp consists of a bunkhouse with beds and a shower, and your meals prepared by a great cook. The Rose Ranch is located in Unit 69-84, which is a quality area and has been since 1972. Keep in mind that this ranch also has limited Private Landowner Vouchers for elk, deer, and antelope available for purchase through us. This enables you to keep accumulating your preference points. Vouchers must be reserved with a 50% deposit. You must apply for your license with the Colorado Division of Wildlife on or before April 1. Information is available at www.cpw.state.co.us, where you can also apply on line with the DOW. By the end of May, you should know if you were successful in the draw. It is best to let us know your results as soon as possible, as our hunts fill up quickly. If you book your hunt early and do not draw, we can refund your deposit, or apply it the following year. Sangre De Cristo Outfitters, Inc is an equal opportunity service provider and employer.